Winner of:2014 Bronze Independent Publisher Book Award, essay/creative nonfiction Ruminating on the fundamental mysteries of human life—the tenuous nature of memory, bereavement, and grief, as well as the vexing complexity of familial connections—this compilation explores the pleasures of slowing down, and the deep losses incurred by not taking time to look and listen. Born out of fragments, these 10 essays surround a particular breakage in continuity and attempt to leave behind the self or the "I" at the center of them, while at the same time, reassembling a new whole. Touching upon various topics, including the death of a grandmother, a medical complication, and the events of September 11th, this work moves to consider how the body itself limits participation in the world, even as the self keeps demanding to be vital and to fully participate. 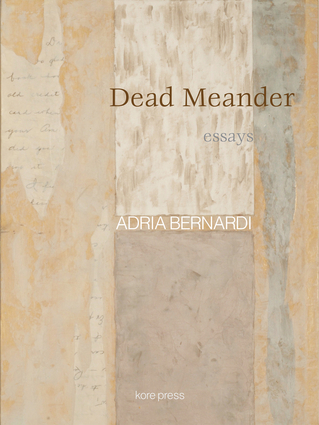 Adria Bernardi is an author of novels, short stories, and oral histories, and is a translator of Italian poetry. She lives in Nashville, Tennessee.